It appears that China’s expansion of coal consumption is coming to an end. China has previously “declared war on pollution,” and if recent actions are anything to go by, it’s finally getting serious. According to a report from Lauri Myllyvirta and Greenpeace International, China’s coal consumption dropped (1.8%) for the first time this century, in the first half of 2014. What’s more, China’s gross domestic product still grew at the same time, so it appears GDP may have decoupled from coal consumption. Along with overall coal consumption, coal imports have dropped in the first 8 months of 2014, by 5.3%. This is the first time there has been a drop since China become a net importer of coal back in 2009. Further, industry forecasts are for an 8% drop in coal imports by the end of the year. China is currently preparing a new five-year plan, which will encompass 2015 to 2020. Because of its huge air pollution problem, and stated concerns over climate change, it’s likely China will formalise its move to decrease coal consumption and imports – while attempting to keep the economy growing strongly. Judging by this report and the future outlook, it’s possible that peak coal consumption in China may not be far away. 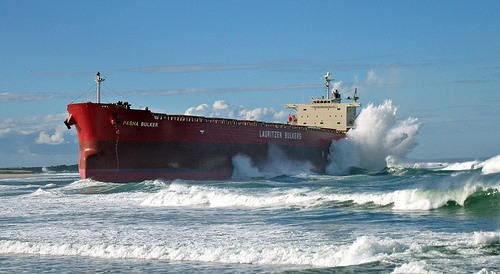 Australian coal exports in particular could be hit hard by this new turn of events. It’s already common knowledge that the decades-long Australian mining boom is ending. However, it wasn’t long ago that many pundits forecast chinese coal consumption would keep growing for decades to come, and Australian coal exports along with it. Indeed, coal mining interests in Australia, not to mention government interests, were counting on it. The present Abbott government in particular has regularly voiced strong support for the future of the coal industry, and demonstrated a distinct lack of support for the emerging clean technology sector. It seems Australia may need to rethink that approach, as it attempts to develop a new, cleaner economy for the 21st century; China is certainly starting to.